Next to a traffic stop shaded by her unbrella, this woman in her wheelchair is in position to wait for alms. 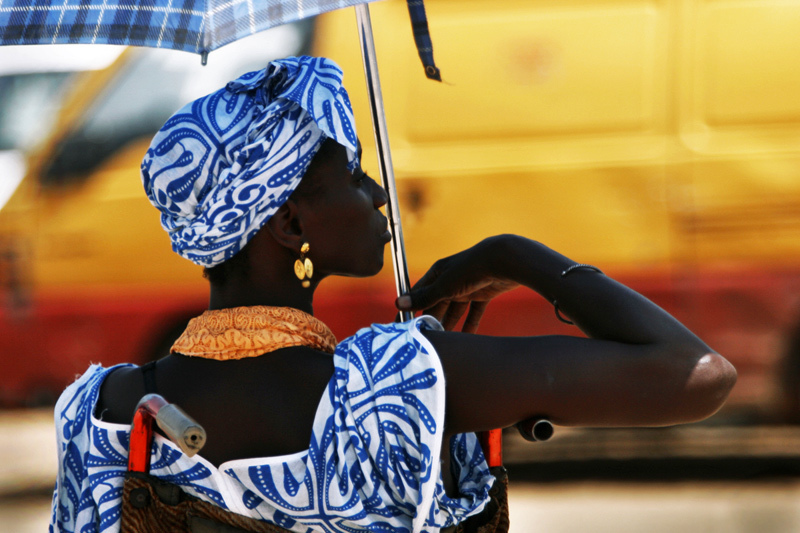 Almsgiving is part of life in Senegal. Muslims believe those who are better off have a duty to act charitably toward those who are less fortunate. And, they approve the collection of alms by those individuals suffering in poorer circumstances. In effect, one cannot give alms if no one is present to receive them.